Flavours and aromas that come from the kitchens of the restaurants in Salou become a fantastic experience you can definitely enjoy with your partner, friends of family. In fact, this will come to complement and improve your stay in the capital city of Costa Daurada. Salou combines both traditional and avant-garde cuisine, which are local and Mediterranean, with special attention to our town’s roots; all, together with any of the territory’s wine and cava (local sparkling wine) Designations of Origin. You can also try recipes from different Spanish and International regions. Salou’s history is related to the town’s fishing legacy, and so there are a number of restaurants that cook seafood cuisine, with a variety of rice, seafood and fish dishes with products from the Mediterranean Sea. The Ponent area is packed with bars and restaurants that remain open for the entire year. If you’d like to have a relaxing experience, this is the right place for the whole family. There are loads of restaurants specially designed to accommodate families, with dedicated facilities, menus and services for kids. The PasseigJaume I area homes a wide and varied offer in Mediterranean, National and International cuisine. It is the perfect location to enjoy some pretty stunning views to the promenade, while enjoying leisure and animation activities for the family in the summer. The Llevant area, the one with the highest tourist rate, is a mixture of Mediterranean and International cuisine restaurants. Pilons is packed with terraces, bars and restaurants located right by the sea, with loads of action during high season, especially at nights, from where you can admire some pretty amazing sunsets. Beach bars, aka “chiringuitos”, are also ideal for those trying to almost escape the sunlight’s heat, as they are the perfect place to have a refreshing beverage or a delicious bite –some provide full kitchen service–. At night, they are the place where you can have dinner and enjoy the sea breeze, or an exciting cocktail under the moonlight; definitely, the most magical nights in Costa Daurada. - SaborSalou (May): food festival, tastings, workshops and sale of local gourmet products. - Gastrotour (May): tapas route. Different local bars and restaurants offer their food creations using traditional products from our territory. - Mercat Medieval (September): the old part of Salou will home a number of stands where you can buy craft items and typical food, as well as watch artisans do their great work. Also, various activities will certainly entertain visitors. - Rally de Tapas (October): tapas route. Different local bars and restaurants offer their food creations using traditional products from our territory. 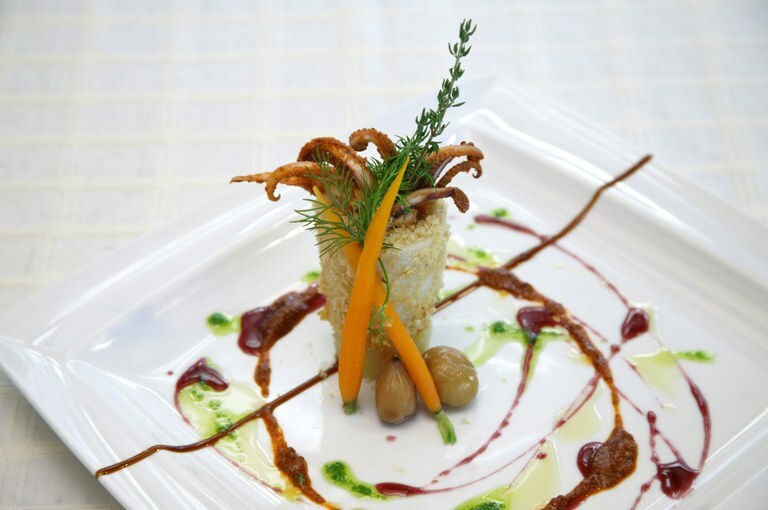 - Jornades Gastronòmiques del Calamar (November and December): local bars and restaurants offer their food creations using squids as the main product.